The first thing that tourists see upon arrival in another country is the airport. It can be considered a hallmark of the country and the city. 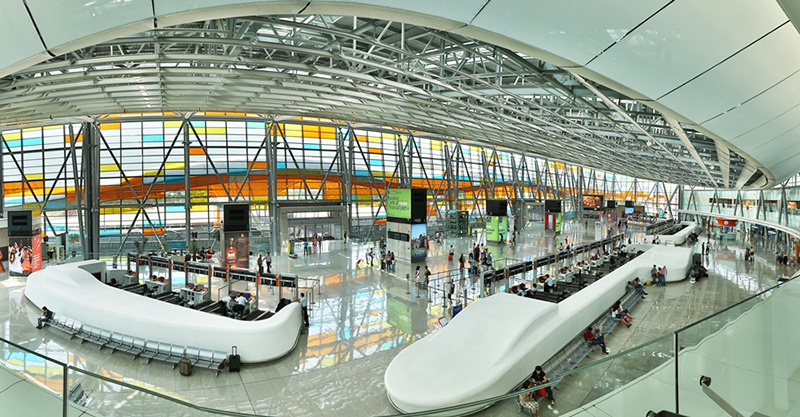 Upon arrival in Yerevan you will see a beautiful and modern airport Zvartnots, which meets all international standards. 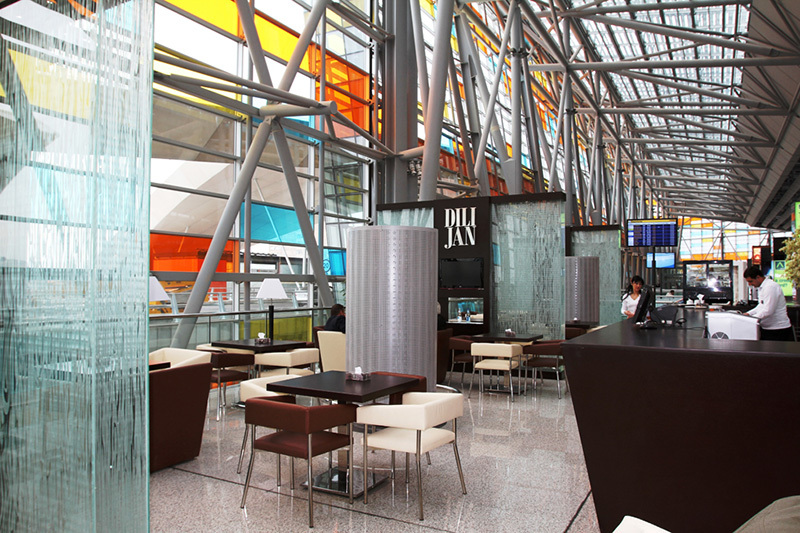 So, what can you actually find in Zvartnots airport? Zvartnots Airport is located 12 km from the city. The airport is considered the western gate of Yerevan. Zvartnots was built in 1971, but the old building is completely transformed; it has become much more comfortable and beautiful. The building has 3 terminals. The 1st one was opened in 1971, but it was closed in 2011. The 2nd terminal includes arrival and departure buildings. The capacity is up to 3.5 million passengers a year. The 3rd terminal is VIP. From the terminal there is a beautiful view of Mount Ararat. 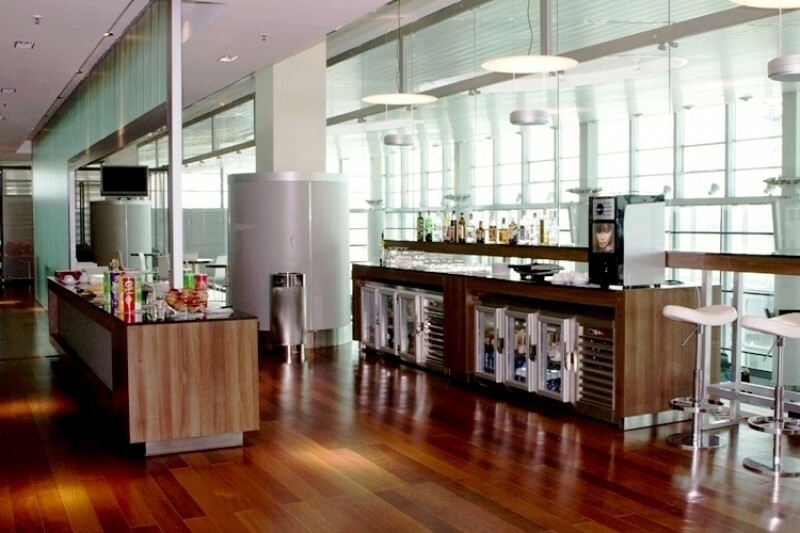 The reception area has 42 check-in counters, boarding zone with 8 outputs: a professional approach allows employees to register quickly without forming long queues. The airport serves over 30 airlines from around the world. 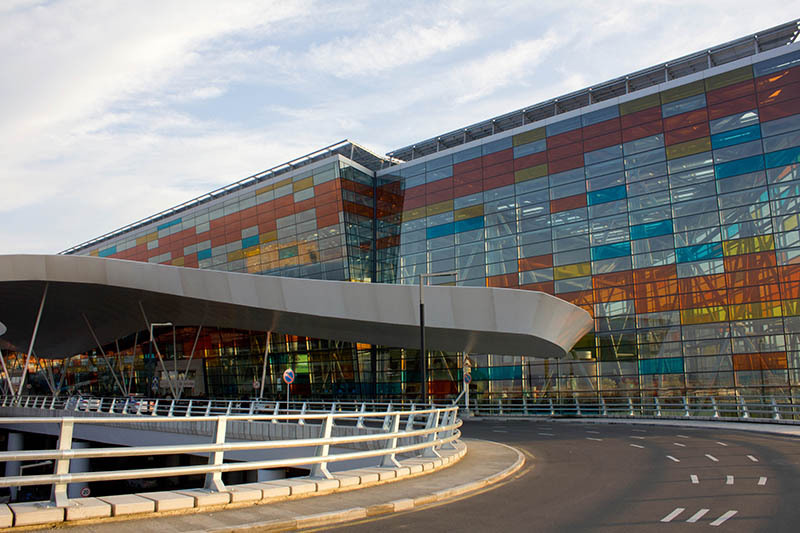 For the high level of service the airport got “Best Airport in the CIS” award on the International Exhibition of Arabian Reach, held in 2013 in Dubai. Zvartnots is the only airport in Yerevan, therefore it serves both domestic and international flights. Registration of passengers of international flights opens 2 hours and ends 40 minutes before departure. Zvartnots Airport has a huge multi-level parking area. The airport has free Wi-Fi and comfortable lounges. The central building has board with departure and arrival schedules. Passengers with disabilities are always served out of the queue, under special conditions, as well as provided with support in case of need. 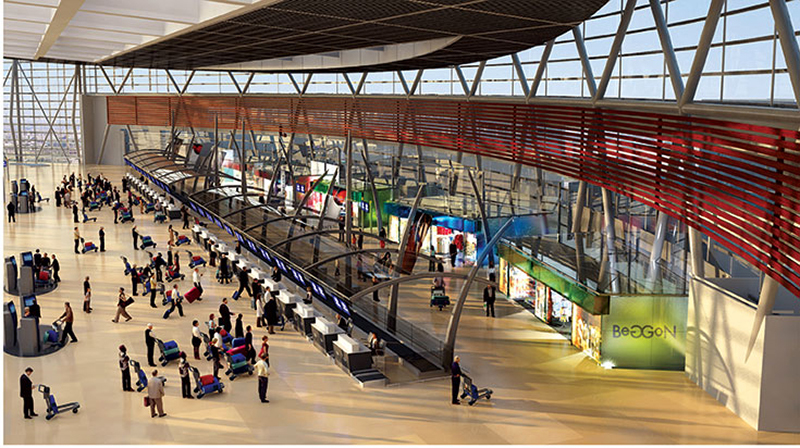 In addition, the passengers can use the services of the bank, ATM and post office in the airport. Passengers can also use the storage service. In the waiting room there is a special room for smokers, where you can safely smoke without disturbing other passengers. 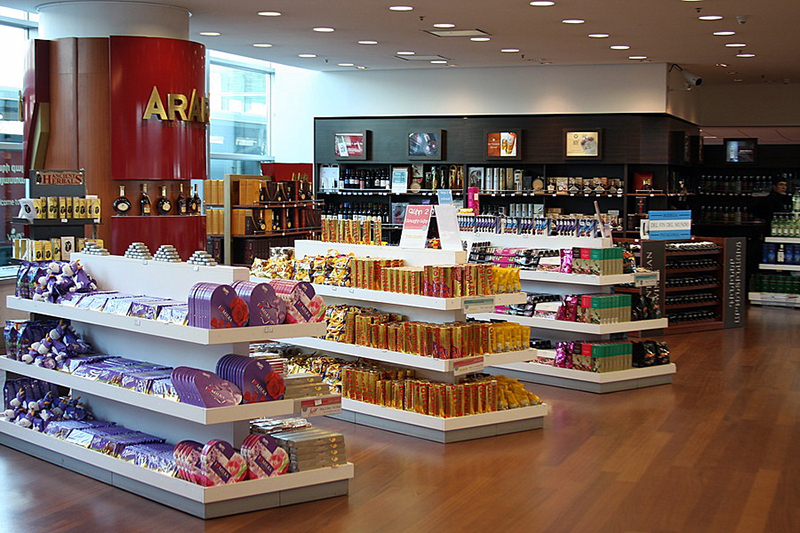 In the Duty Free shop, you can find exclusive alcoholic beverages, perfumes, tobacco, accessories and etc. For tourists there is a very interesting gift shop with Armenian thematic souvenirs. Everything is very colorful and attractive. 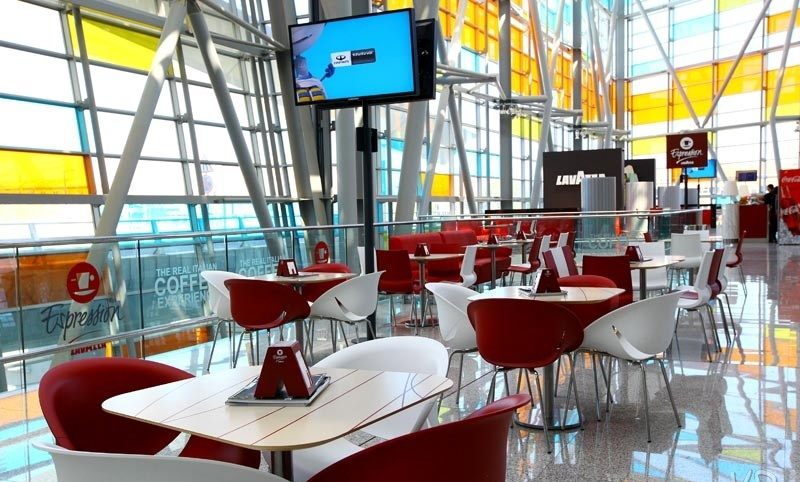 All shops and cafes at the airport accept foreign currency cash, Visa and Master Card. 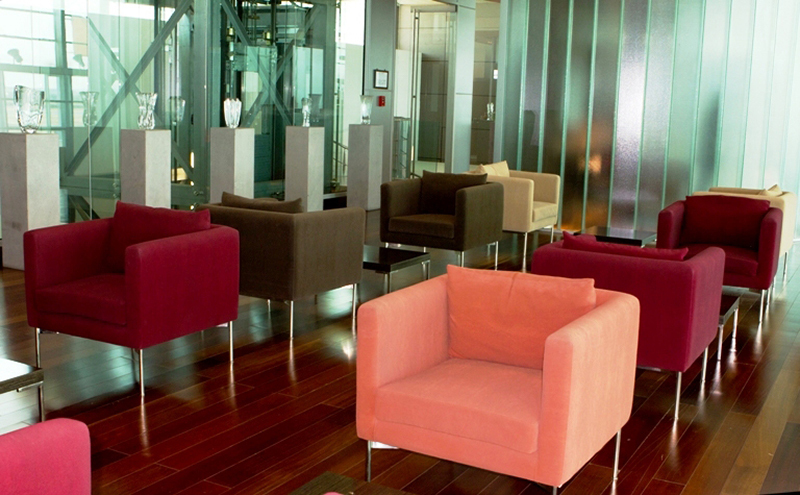 In the VIP hall of the airport there are comfortable armchairs, a mini-bar with alcoholic drinks, coffee and a variety of snacks, as well as special armchairs and a sofa, in case if you want to watch a movie before departure. VIP lounge board costs 20.000 AMD / $ 48. 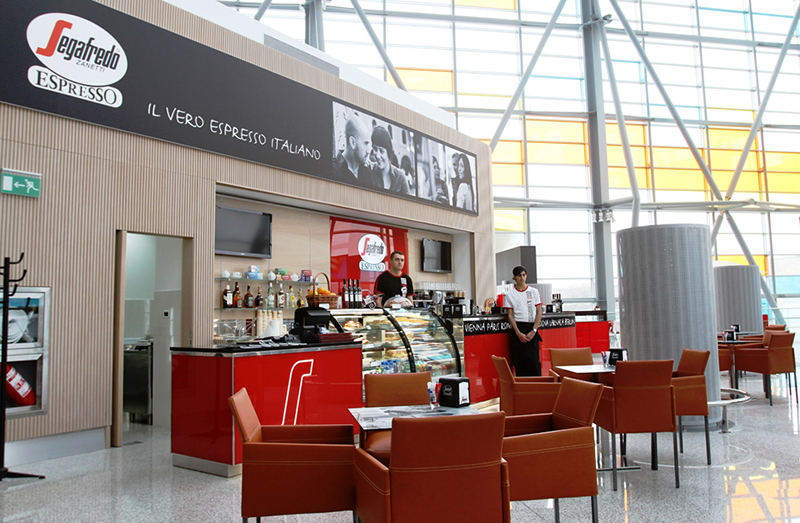 If you are a coffee lover, you can enjoy your time before departure in the Italian Lavazza Café on the territory of Zvartnots. The airport has a public transport stop. From the airport to the city center – N201, Barekamutyun metro station – N107, railway station – N108 (the price from the airport to the city – 250 AMD/$ 0,6). You can also order a taxi. The airport operates the official “Aerotaxi ” service, which can be ordered before the arrival. You can order taxi by calling +374 10 77 11. Finally, you can rent a car immediately after arrival for your stay in Armenia. 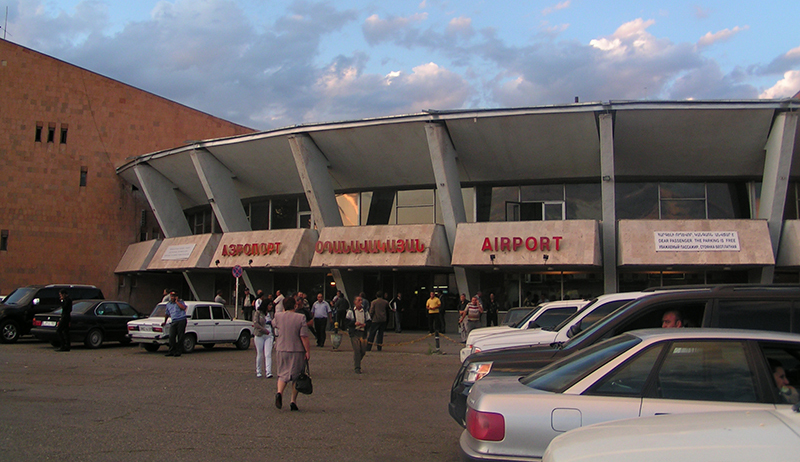 The second airport in Armenia is located in Gyumri (5km from the city center). It was built in 1961 as a reserve airport. After modernization the airport got international status in 2007 and at this moment it serves about 10 international airlines (mainly Russian). The airport has one terminal; the registration of passengers is held on the ground floor. There is a large parking space before the airport. The airport has a waiting room and a VIP room, as well as ATM, exchange, first-aid-post, mother and child room and shops. To get to the city center you can get by bus or take a taxi. You can get to Yerevan by public transport from central station (the price – 1500 AMD/3$) or by taxi.